Aerosol Spray containing 440 ml. Strong adhesion hemostatic, (Curabichera) screw worm wound, cicatrization. Topical use, Cicatrization, antimyasic, repellent, antimicrobial, epithelisation and haemostatic product, with strong adhesion..
Every 100 grams of concentrate contains: Silver Sulfadiazine 0,1 grams; Aluminium 5,0 grams; DDVP 1,6 grams; Cypermethrin 0,4 grams and auxiliary agents q.s. Preventive and curative treatment of bicheras in all types of wounds on bovine, equine, ovine, goats, porcine and canine species. Has larvicide, antimicrobial, haemostatic and healing properties. May be used for animals of any age including newly born. It forms a protective film that prevents bleeding. Due to its repellent power, it prevents myasis in routine tasks (surgery on navels, removal of tail and horns). Shake the container several times before applying. Spray the wound or screw-worm sore (bichera) uniformly from a 10-cm distance, ensuring that the product penetrates within same. Also apply around same, forming a 5-cm. halo. In the case of deep screw-worm (bicheras) sores it is necessary to ensure that the product penetrates within the cavities. 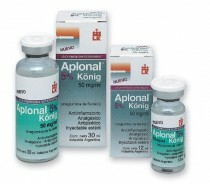 In the case of myasis, the application may be repeated once daily until the wound has healed. The number of applications for prevention purposes depends on the type of wound and environmental conditions, although in the case of applications on a navel wound (bichera), only one application should be carried out within 24 hours after birth. In the event of castration wounds, two applications are recommended, with an interval of 72 hours.